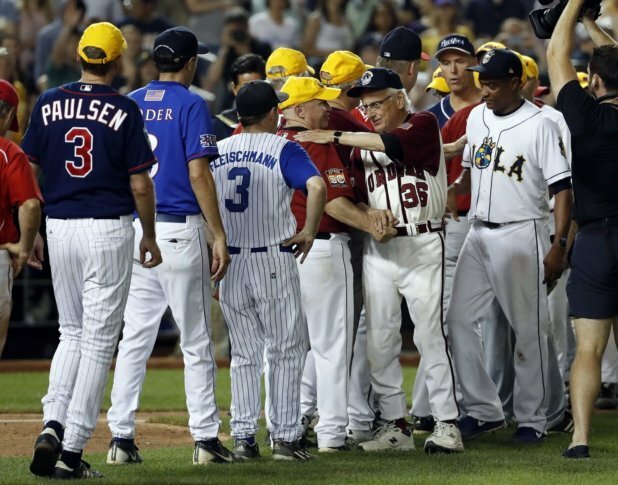 The 2018 Congressional Baseball Game, which begins at 7 p.m. Thursday, June 14, will be broadcast live on 1500 AM, televised on C-SPAN, and streamed on Facebook Live. WASHINGTON — Even before news leaked out Wednesday that Rep. Steve Scalise, R-Louisiana, — the Majority Whip who was shot and nearly killed the day before last year’s Congressional Baseball Game — would be starting at second base Thursday night, his story was already going to be the dominant one of the game. When the decision was made to go ahead with last year’s game, just 36 hours after Scalise, lobbyist Matt Mika, staffer Zachary Barth, and United States Capitol Police Officers David Bailey and Crystal Griner were shot, Scalise was still very much in critical condition. But his fellow Louisianian, from a neighboring Congressional district, but deeply entrenched on the other side of the aisle, was taking the ball for the other side. Because that’s the thing about this game — for all that feel-good framing, once the pregame festivities are complete, it’s Richmond’s job to tune it all out, go out there and shove. As the starting pitcher for the Democrats, Richmond has guided them to six victories in the seven years he’s taken the mound. A former college pitcher at Morehouse, he is the most important player in determining the outcome of any Congressional Baseball Game in which he plays. While he earned the win last year, allowing two runs over a seven-inning complete game, he also led the charge afterward to hand the trophy over to the Republicans, to put in Scalise’s hospital room. Meanwhile, the degree to which Scalise will truly be able to participate is still in question. At practice last week, he was using a crutch to get to and from his position at second base, still moving with a heavy limp. While he could field a ground ball hit directly at him, his physical recovery is still very much a work in progress, his name on the lineup card still more of a symbolic sign of recovery than a true indication of his physical state. But playing is more than just a personal milestone for Scalise in his recovery. Yes, the game raises a lot of money for charity, more than $1.5 million last year alone, and any additional attention can only help that figure continue to grow. But in an increasingly divided Washington, with the heightened awareness brought by last year’s shooting, it offers a unique chance to find some shared humanity between sides. Because as different as Scalise’s and Richmond’s politics might be, they’re still two baseball-loving guys from Louisiana. “It shows what I call that Louisiana resilience, that New Orleans resilience. We get knocked down an awful lot, but we always get back up,” said Richmond.